Fredericksburg, VA – Estimated population in 2012: just over 27,300. 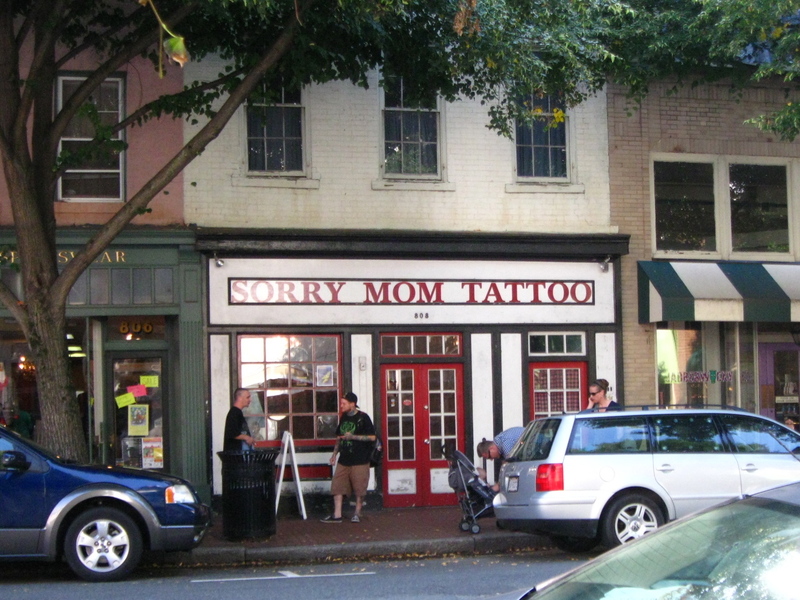 Number of tattoo studios I saw during my visit: 4 in the downtown alone, and there are more listed in the phone book. I’m not sure why a town this small needs quite so many, although the percentage of locals with tattoos not just adorning them but covering entire limbs was higher than in most places I’ve been, so I guess they don’t want for work. I haven’t read any reviews about their quality, but come on, admit it – if we’re judging by names, this one’s gotta be the best, anywhere, hands down.